REIis a leader in outdoor clothing and gear. You can print their backpacking checklist and use it to run down the items you’ll need for hiking trails. Keith Drury offers a discussion of ultralight backpacking gear. Although it’s a good discussion, beginning backpackers may find it too advanced for them. Still, it’s worth reading. Only The Lightest Camping Equipment has a 3-Day Ultra Light Backpacking List. Steven Green, the checklist’s author, created it in response to the demand by people looking to keep their pack weight down to 15 pounds or less. There is also a Microsoft Excel spreadsheet allowing readers to compare the various gear he suggests. Step by Step: An Introduction to Walking the Appalachian Trail. Backpackers—especially beginning trail hikers—may want to pay particular attention to pages 12 through 16. They contain information and lists for hiking and backpacking the Appalachian Trail. 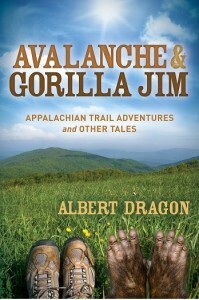 This rich source of information also answers questions about hiking the Appalachian Trail. The guide, published by the Appalachian Trail Conservancy, is free. The Lightweight Backpacker has a Backpacking Equipment Checklist from which you can choose what you want to take on your hike. Backpacking Checklist (Gear List): 3-Season, 3-Day is a short article with a gear list containing the weight of each item so you can add up and find out what your full pack will weigh. Always carefully consider what you are taking; the suggestion here to take only a “half-quart” of water is low. Unless you are near a water source, a full quart is minimal—in hot weather and when you are far from the next water source, carrying more water is necessary.